Mouse anti Human CDK5 antibody recognizes the cyclin-dependent kinase 5, also known as TPKII catalytic subunit, cell division protein kinase 5, protein kinase CDK5 splicing or tau protein kinase II catalytic subunit. 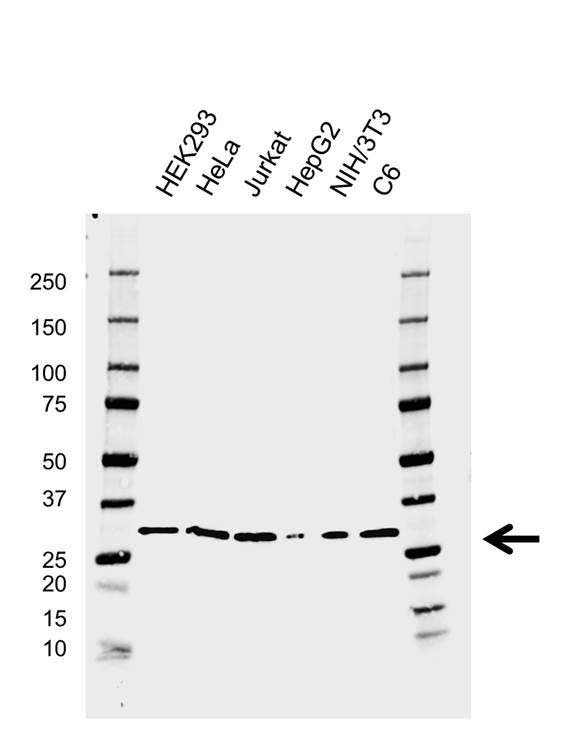 Mouse anti Human CDK5 antibody detects a band of 33 kDa. The antibody has been extensively validated for western blotting using whole cell lysates.